We obtained funding from the Near Neighbours Programme in early 2017 to carry out a project 'Having a voice'. The project was about bringing different communities together and to help shape the future of the areas they live in. It was an opportunity for people from different backgrounds and faiths to communicate with one another and to value the importance of working as one community. 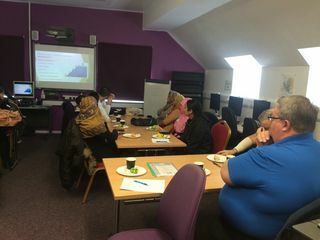 We held 2 workshops, the first was about building confidence, better communication and assertiveness, and the second was about having a community voice. We held a focus group to look at the impact of the project and produced a final report in booklet form.